Impossible Situations » Blog Archive » The artwork is finished! 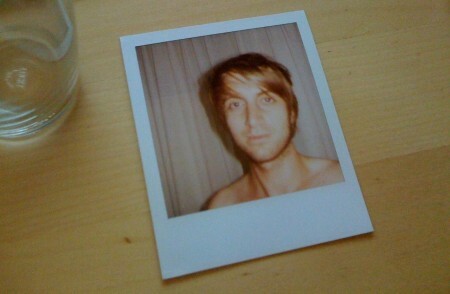 I took this polaroid two minutes after I finished putting together the artwork for my debut album. You can see the satisfied look on my face, right? The photo will be featured in the artwork next to the sentence: “This album was recorded between 2004-2010.” Ha. It all looks amazing, every page is a piece of art thanks to all the amazing artists. I also picked a title which I will be revealing later in a short video.